Christmas cards say something about their senders. 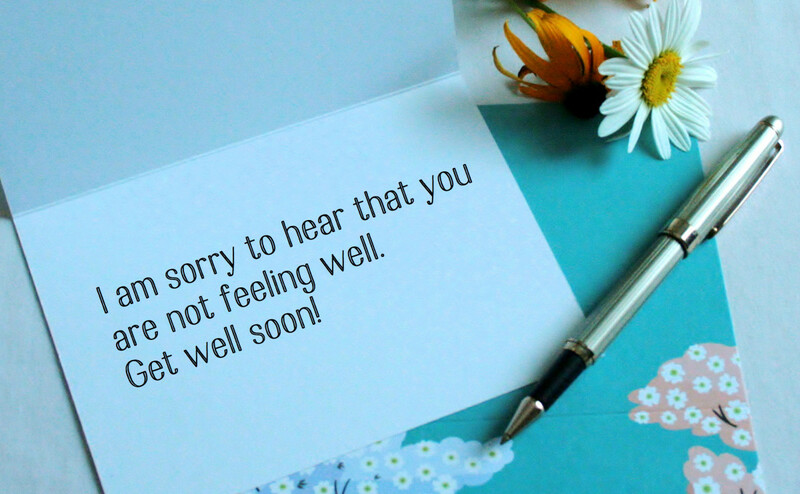 Some send out cards to the masses to bring cheer to their friends and family whereas businesses can send holiday messages to show customers and employees their appreciation. Either way, Christmas cards are always a great way to stay in touch during the end of the year. It's OK to have trouble thinking of just the right thing to say in a Christmas card. Use this page and the recommendations to give you ideas and inspiration to write a great message for the people in your life. Edit these to your taste before sending your own personal Christmas cards. Your message will be best when you make it personal. May you be blessed with the most important gifts this Christmas. I consider friendship to be a gift, and your friendship is one of my most treasured gifts. Merry Christmas! It's easy to get caught up in all the business of Christmas, but I'm wishing you a peaceful Christmas full of the most important things. 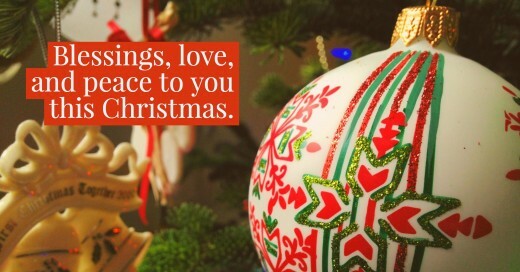 Keep Christmas a time of celebration and love. Don't let Christmas become a chore. 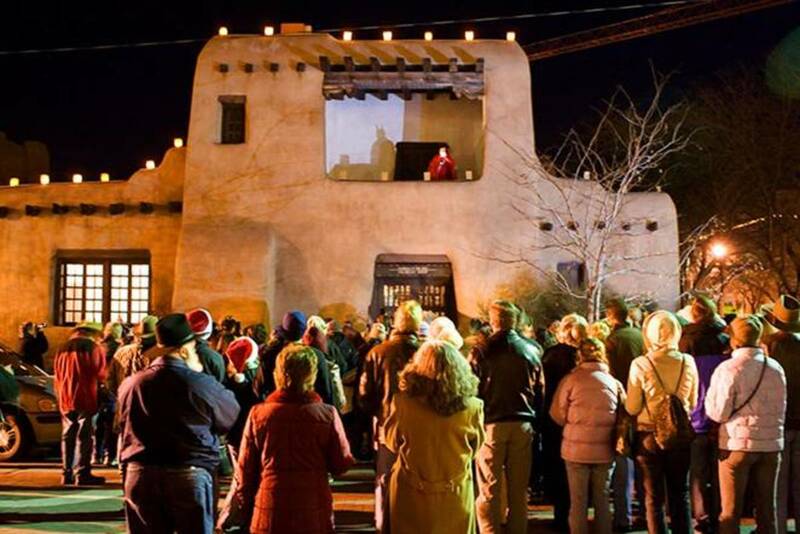 Don't let Christmas bring strife to your home. 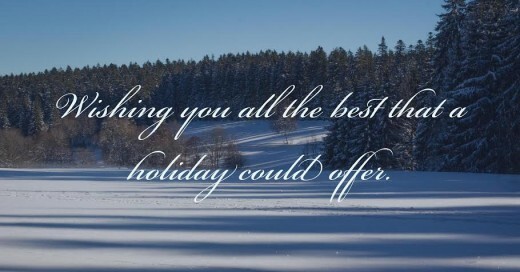 Wishing you all the best that a holiday could offer. Peace, joy, and love to you and your family. May your Christmas season be filled with joy and light! Hope your stocking is stuffed full of joy this year. Sending you glad tidings this holiday season. Thinking of you this Christmas. “Yule” be on my mind. Hope your holiday season is bright enough that you need sunglasses! Hope this special time of year is filled with joy! I’d send you peace, love, and joy in an envelope if I could. God bless you this holiday season — Merry Christmas! If you enjoy humor, chances are the people you know will too. The weeks leading up to Christmas tend to be busy, hectic, and even stressful. Lighten the mood with a funny Christmas card. The NSA has tapped everyone's phone this Christmas including Santa Claus himself, and it turns out Jesus is the only one who isn't on the naughty list. Just think how bright Jesus' birthday cake would be if he had a candle for each year since his birth. Good thing he recently switched to LED candles. There are at least three people wishing you a Merry Christmas. There's Jesus, Santa, and ME! There's usually only one person I can remember to buy a birthday card for each year. His name is Jesus. I don't usually write Christmas cards, but when I do, I usually write the same thing in all of them. The best thing about Christmas is the day after Christmas, when you still have almost a year until you have to see your annoying extended family members again. If I had to choose between you and Santa, I'd choose you. I still think it's a little creepy that that guy comes in my house while I'm sleeping. All I want for Christmas is for you to have a crazy cool Christmas! When people ask me to prove that Santa is real, I ask them to prove to me that he isn't. 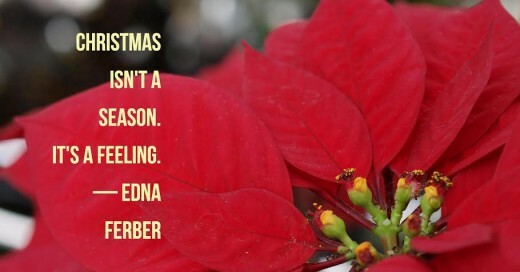 I would write something funny to wish you a Merry Christmas, but there are some things that you just don't joke about. I hope your December 25th is splendid this year. If you have an awful day on December 27th, that's alright. It's really just the 25th I care about. Friends like you are as magical as Christmas spirit and as rare as Santa sightings. Your presence is the best Christmas present I could receive. Holidays are so much more special when they are celebrated with important friends like you. Wishing one of my most dearest and special friends a Merry Christmas and an amazing New Year! Friend! I hope your Christmas is full of love and eggnog and laughter and cookies! Your friendship is the best present Santa could have ever given me. This year I have been so grateful for your friendship — thank you for being such a wonderful part of my life. I hope Santa brings you lots of awesome goodies. He already brought me the best one — a great friend! I hope you have an excellent Christmas full of love and life — two things you have given me. As the year ends, I’m reminded of how much your friendship has meant to me this past year. Thank you so much for being a great friend. I wish my family was as fun as you — hope you have a great time with your kin and hope to see you in the New Year! You are such a fantastic friend! I hope Santa recognizes that and rewards you handsomely. If he doesn’t, I will! Wishing you a very happy holiday season full of abundant joy and peace. I am so thankful for having you as such a special and unique friend — I hope your holiday season is just as awesome as you are. Even more than Christmas decorations, friends are what really light up my life. You brighten my day and many other days of the year as well. I hope your life is filled with joy and happiness, both during the holiday season and for the rest of the year. I hope your holiday season is filled with laughter, silliness, and many fond memories. Looking forward to spending another year in friendship with you. 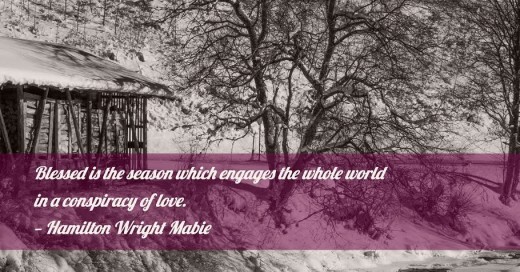 May your holiday season be full of presence of mind as you focus on the true gift of life. Merry Christmas! Happy New Year! Happy Valentine’s Day! Happy St. Patrick’s Day! Oops I’m sorry I got carried away. I’ll try to stick to one or two holidays at a time. For Christmas I got you pants with an elastic waistline that you can wear through January. You’re welcome. If you don’t like my present, it’s because you have bad taste. I’ll still wish you a Merry Christmas! I’ll distract everyone and you can add more rum to the eggnog. Sound like a plan? I’m trying something new this Christmas. I’m going to wrap myself up and sleep under the Christmas tree so you’ll finally understand what a gift I am to all of you. Christmas is a special time to think about peace, love, joy, and weight gain. Ah yes, the true meaning of Christmas: peace, joy, harmony, and passive aggression. Is it too soon to ask for an advance on my birthday present? The best thing about the holidays is getting to catch up on sleep and TV shows. Enjoy! What’s red and white and round all over? You! After drinking a little bit, eating too much, and rolling around in the snow. Ever wonder why we don’t say Merry Birthday? Since it’s not a good idea to say things you don’t understand, I’ll just say Happy Christmas! You know, I wouldn’t mind getting coal for Christmas. Sure, it’s not the cleanest energy source but at least it’s useful. What I’m trying to tell you is: I got you coal for Christmas. You deserve it. 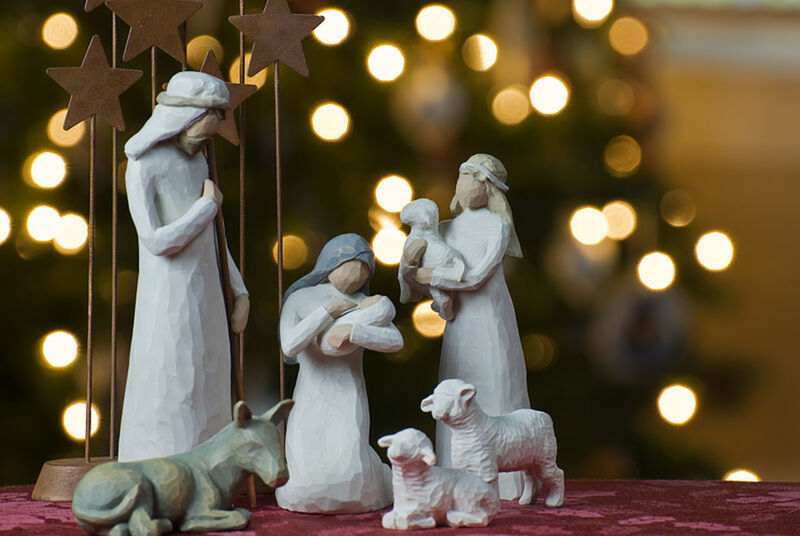 Religious messages say to others that you are focusing on the true meaning of Christmas and that you want to celebrate the good news. These are some creative ways to send a message with a Christian tone. Great things come in small packages, just like when our Lord was born. Let's celebrate our most special friend's birthday! Merry Christmas! Christ the savior is born! Merry Christmas! Just as Christmas lights bring light to a dark season, Christ brings light to a dark world. Jesus is the gift that we all are given this Christmas. Let's celebrate the baby, the servant, and the King named Jesus Christ. Merry Christmas! 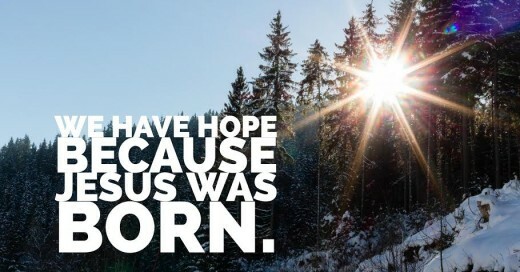 We have hope because Jesus was born. We're wishing your family the peace, love, and joy that can only be provided by our savior. May you be blessed this Christmas. Peace on earth is only possible through the gift of Christmas, Jesus Christ. Even if Jesus hadn't been born on December 25th, I'd still want to send you a card. Was Jesus born on December 25th? I love Christmas a lot, but not as much as you. I can’t imagine spending the holidays without you. You are such an important part of my life. My favorite thing to do during the holidays is cuddle up in your arms. Don’t disappoint me. All I want for Christmas is you in a bow. I’ll enjoy unwrapping my present. You light up my life more than the brightest Christmas lights. Nothing compares to the gift of your love. It’s the gift that keeps on giving. I love you more than the entire world because you are my entire world. Spending Christmas with you is my dream come true. You are more beautiful than any Christmas ornament and brighter than any star. Having you in my life makes every day a holiday. The best gift of all is the gift of loving you. Merry Christmas, sweetheart. This year you have blessed me with your love. You have been a miracle in my life. I love you. I <3 you. A lot. Merry Christmas. There is no present under the tree that’s better than waking up and seeing you next to me. If I could, I’d give you the moon, but I know how much you hate finding places to store things. You make every day sparkle and glitter like Christmas morning. You are my everything. No presents necessary. How many kisses and hugs do you want for Christmas? I’ll only give you up to an infinity. Each Christmas I spend with you, I grow more grateful to have you. Let’s do Christmas together the rest of our lives. I love you. You have no idea how much I love seeing you smile. I like making you smile like it’s Christmas morning. We go together like snow and a sled. We make things more fun for each other. It’s great to have friends around the holidays, but it’s even better to have someone who’s more than a friend to spend special occasions with. You are sweeter than a candy cane! Having you this Christmas was the best present ever. You, quite simply, are the best. I hope you have a very Merry Christmas and are available for a kiss on New Year’s Eve. Being with you has given me something to celebrate every day. You are a unique and fascinating person. I can’t wait to see what adventures we’ll experience together in the New Year! In the words of Bing Crosby, “I’m dreaming of a white Christmas with my sweetheart.” I added that last part. You really jingle my bells all the way. You can deck my hall any day that you want. I hope you have a fantastic Christmas! You’re like a human strand of Christmas lights. Your personality glimmers and shines. Thank you for being so positive! I need you around me. I’m going to fill your stocking with hugs and kisses so you know I love you. You’ll get some real hugs and kisses as well. Merry Christmas and Happy New Year from someone who is completely smitten. May your holidays be filled with as much love and joy as you’ve given me. Time spent with you is always like walking through a magical winter wonderland minus the frostbite. Wishing you the happiest of holidays! Enjoy your break and see you in the New Year! Thanks for a great semester — happy holidays and see you next Year! Learning is the greatest gift of all. Thank you for your hard work. You give me knowledge and understanding in every class! Wishing you a restful break! You deserve it. I hope you enjoy your break and I look forward to seeing you in the New Year. Have a great break — try not to miss us too much. Wishing you a restful holiday season. See you soon! Merry Christmas! I’ve really enjoyed your class and look forward to seeing what else you’ve got up your sleeve in the New Year! Merry merry Christmas! You are a fantastic teacher. I’ve learned so much from you! Enjoy your break! That’s your homework assignment.Thanks for being a great teacher! 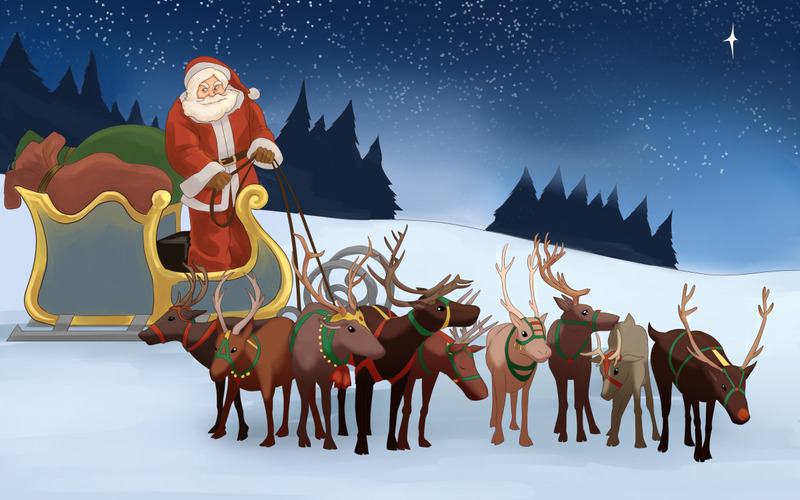 Hope you have a Merry Christmas and a happy New Year! I always look forward to your class. Thanks for bringing in so much passion to what you do. I hope you have great break! I can’t wait to hear what homework assignments you’ve cooked up for us when I get back from break. Just kidding. Wishing you peace and joy this holiday season. I’m looking forward to a bright New Year of no homework. Stay bright! (I know you’ve made me brighter). Wishing you and yours a joyful holiday season. May your holiday season be fun and festive. Thanks for a great year! I hope you have a great holiday season and fantastic New Year! Thanks for being a great boss. I hope you have a relaxing holiday season and I’ll see you in the New Year. Happy holidays, boss! Here’s to doing great work together in the New Year. You make working here so much more fun. Now have a fun holiday! Happy holidays to a great team member and friend — looking forward to doing great work together in the New Year. Thanks for being a great mentor and friend — I feel blessed this holiday both personally and professionally. You’ve done a great job this year! Enjoy your holiday! This is a list of how to say "Merry Christmas" in different languages. These could be interesting to use for various reasons. A few are made up just for laughs. Write an update about your family or business in your message. Tell what each member of the family is doing or announce any big news. People will enjoy knowing what is going on. Sometimes you need to be in the mood to write your Christmas messages. Try listening to Christmas music while you write in your cards. The words and the music will help you get to the festive mental state your need. 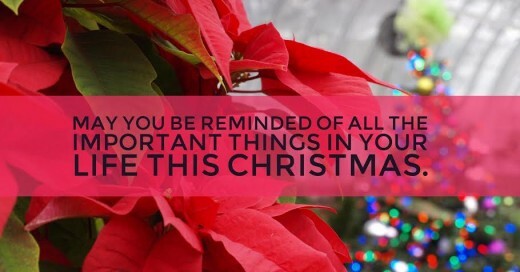 Remind people to stop and think about the more important things of Christmas. Remind people that the same family they are frustrated with during the holidays are people they love. Do this tactfully. Write something like: "Let's remember to give each other the gift of patience this Christmas." What's the Best Theme for a Christmas Card? Which type of message is best? Brilliant ideas..definately use some of these this year. I noticed Welsh was not up on your Greetings for Christmas. For anyone interested it is "Nadolig Llawen"
I enjoyed reading the messages. 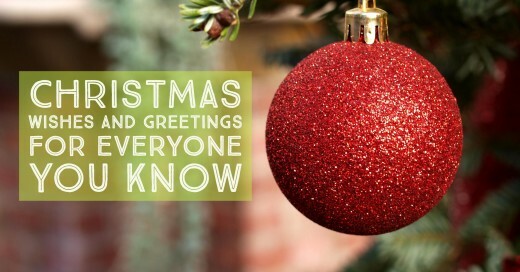 Including the different ways countries say Merry Christmas is brilliant. thanks for the good samples. Thanks for pointing out the the wrong letter. I have fixed it. The correct spelling of the wishes in Dutch is Zalig Kerstfeest , not Kerstfeast. Hey, you forgot to translate Merry Christmas to tiger! Thanks i find this site very useful. Now i can say merry christmas to all my freinds. This site has been helpful. Thanks alot! thank you so much!!! It's a great help for me! God bless! I sent my sisters a quote and they all got upset at what I said!! This is the true spirit of Christmas." Thank you. It is very helpful, I now know how to say Merry Christmas in other languages. Thanks for the suggestion. I added a section about how to say Merry Christmas in different languages, and I even included Pig Latin, dog, HTML, and alien languages. Thanks for writing this Hub. Sometimes its difficult to think of something to say that's meaningful. You've presented some great ideas. One thing I like to add to my Christmas cards, if the recipient speaks a language in addition to English, is "Merry Christmas" in the other language. I really enjoyed reading this Hub. There are some great messages in it that people can use when doing their cards this year. Thanks!